Sonia Nazario, Pulitzer Prize winning journalist and author gives an inspiring speech at the Immigration Celebration and Resource Fair at Pierce College, in Woodland Hills Calif., April 27th 2018. Photo Credit: Magdalena Bleu Briggs. Sonia Nazario before taking the stage as a guest speaker at the Immigration Celebration and Resource Fair at Pierce College, in Woodland Hills Calif., April 27th 2018. Photo Credit: Magdalena Bleu Briggs. 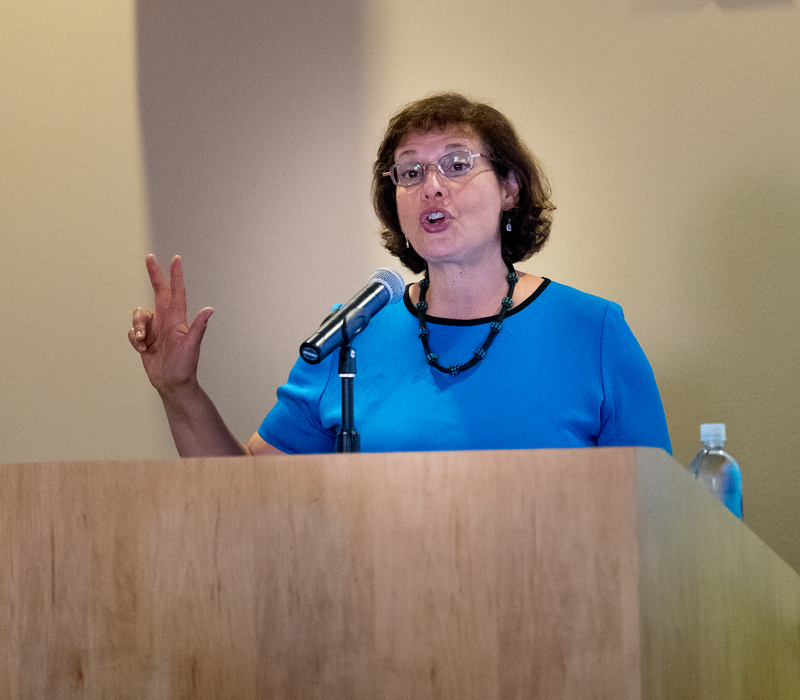 Pierce College’s Great Hall was packed to the brim with students last Thursday, as Pulitzer Prize winning journalist Sonia Nazario lectured about her experiences writing her national bestselling non-fiction book Enrique’s Journey. 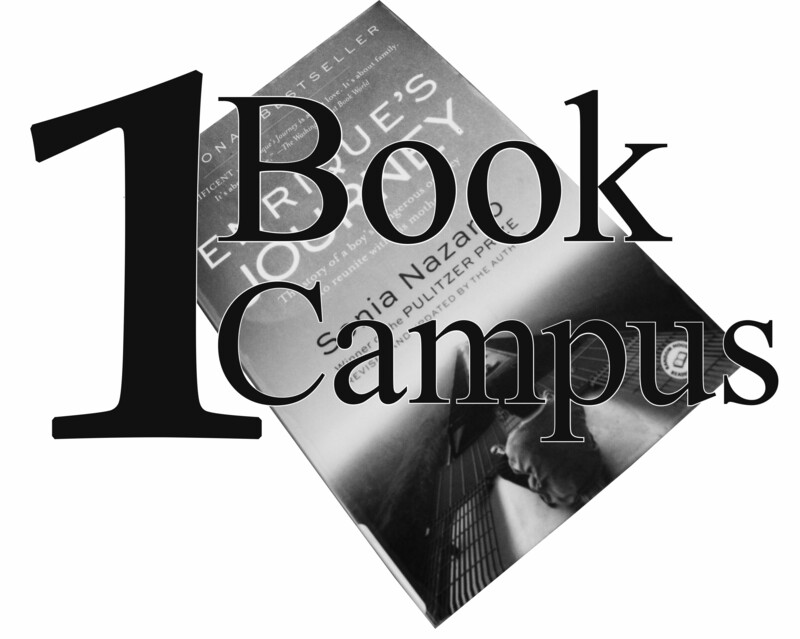 Enrique’s Journey is currently Pierce College’s choice for their One Book, One Campus program in which “Members of the Pierce community, including students, faculty, staff and administrators are encouraged to read a common book throughout the semester and to participate in campus-wide, thematically-integrated activities,” says the Pierce College website. Inspired by her experiences as a child with journalists during Argentina’s Dirty War, Nazario would become the Wall Street Journal’s youngest reporter at 21 and continued to have a lucrative career in journalism for the past three decades, using her master’s degree in Latin American studies to tackle social issues both in and around her country. Written as an eight piece article for the Los Angeles Times, Enrique’s Journey is a journalistic retelling and examination of a titular 17-year old Honduran boy named Enrique on the path atop a series of South American railways to reunite with his mother in the United States. Initially inspired by the personal story of her housekeeper Maria del Carmen Ferrez, Nazario decided to investigate the large numbers of abandoned children, whose mothers decided it would be better to seek opportunities in America and financially support their children from afar. She personalized the story by following Enrique specifically on his journey on “el tren de la muerte” (the train of death), a series of trains and roads which would lead Enrique from central Honduras to the border of southern Texas. “I asked myself in 2014, why would a child do this? What kind of lousy parent would allow them to make this journey? The reality is, it is actually safer to make this journey now than to stay in countries like El Salvador, Honduras and Guatemala. Those are countries that have kill rates only second to Syria and Afghanistan and we know what’s happening in those countries,” Nazario said. Leaving their home countries out of fear of gang retaliation, political corruption and death. These children would seek refuge in the United States, usually to be deported back to their countries regardless, with many children denied an attorney, forcing them to represent themselves in front of the immigration appeals court. Those that do make it through to the United States are often in for a grim reality check as they reunite with mothers that cannot live up to their expectations or dissipate the resentment that their children have accumulated for them over the years. Nazario’s efforts would win her the Pulitzer Prize for feature writing and her photographer, Don Bartletti, the Pulitzer Prize for feature photography, but Nazario would say that more important than the accolades and awards is bringing light to the daily struggles of immigrants that would otherwise go unnoticed. “Today I had dozens of students come up from Iran, Sri Lanka, Guatemala, Mexico, El Salvador and from all over the world and saying this is my story, of being uprooted, being seperated from family, coming from a new land and facing hostility,” Nazario said. 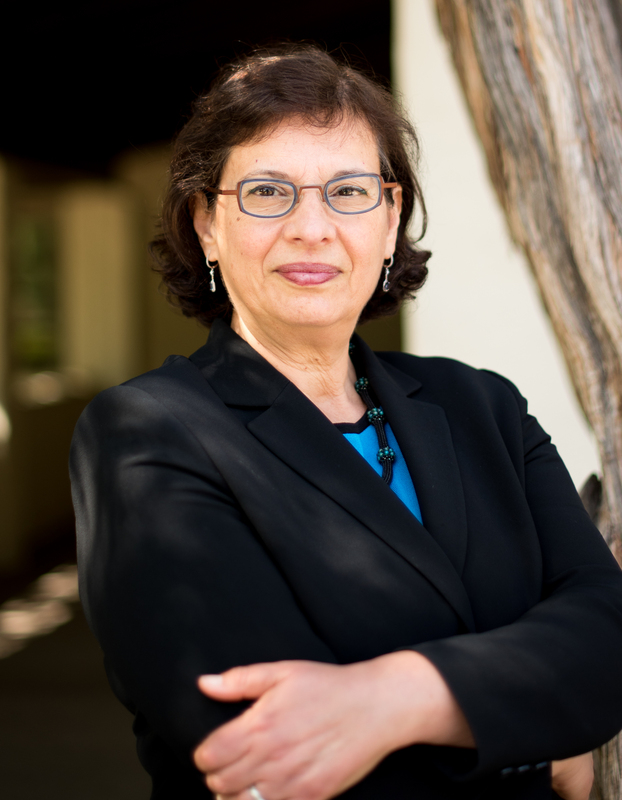 Many people who work closely with migrants and illegal immigrants would agree with that sentiment such as Pierce Librarian and event coordinator Lisa Valdez. “I understand these stories first hand and i can see them which makes the experience much more profound and i just feel like it’s something we should talk about. I’d like students to continue to support our events, to come out and learn more about what is happening in our society, to just start doing more reading and make themselves aware of the things that are going on because everything that is going on affects their lives in way or another,” Valdez said. The events Nazario witnessed over her time in central america has undoubtedly had an effect on her mental and emotional health, as Nazario has reported both anxiety and distress when seeing cargo trains going by to this day and persists about the importance of journalists seeking help to maintain mental health. “Cops and social workers need therapists and so do journalists, if you see bad things you need to deal with that . there’s a dart center for trauma that tries to educate journalists about these issues and getting help,” Nazario said. Donna Accardo, chair of the English department, doesn’t want the importance of Nazario’s work to be underestimated. “It affects our students, it affects our families, it affects what we are as a nation and what we are as teachers and educators. I don’t know a teacher that went into this field without wanting to help people, help students and help change lives and this is what she devoted her life’s work to,” English department chair Donna Accardo said. Although she will carry that burden around with her, her sacrifices for the story has impacted many lives around the country and has done a great deal to sway public opinion in regard to immigration.